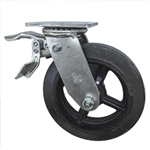 8" Swivel Caster w/Brake Rubber Tread on Metal Core - 500 lbs Cap. 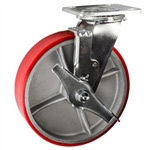 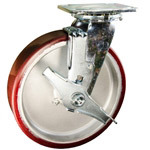 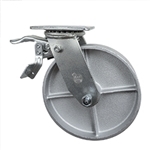 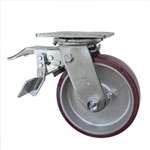 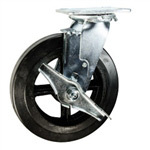 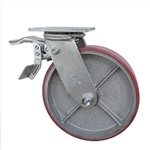 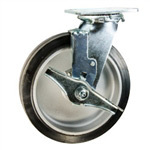 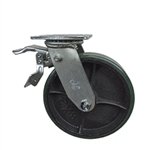 8" Swivel Caster Phenolic Wheel with Brake - 1,250 lbs Cap. 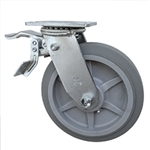 8" Swivel Caster with Total Lock Rubber Tread on Metal Core - 500 lbs Cap. 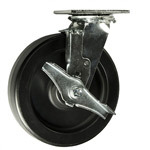 8" Swivel Caster with Brake - Solid Polyurethane Wheel - 1,200 Lbs Cap. 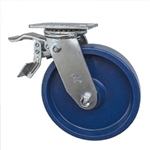 8" Swivel Caster with Total Lock - Solid Polyurethane Wheel - 1,200 Lbs Cap.